Yes James did make that specially for Shima deserves it he's been studying and contributing to the WingMakers materials for a long long time and is appreciated and loved by some of us who know him from the old forum when we would try to interpret the pictographs from some of the paintings together. 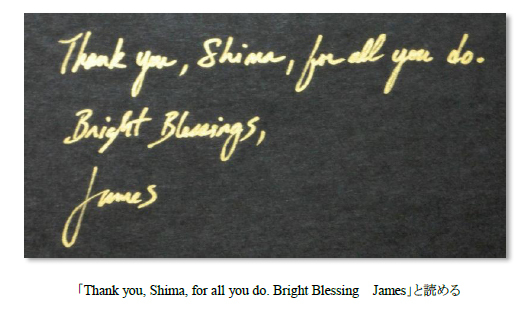 I believe that it is important that Shima's Signature NOT be "edited" because it may include a key to decypering the glyphs - if James has, in fact, written the same thing in both "messages"
on the right,it seems the SOVEREIGN INTEGRAL symbol appears on the Collector's Edition's cover. Beautiful symbols! I like to sovereign integral symbol, but what are the other ones? ¨For example the first two after "james"
my first impression of this series of glyphs is that it is - several "signatures" - note the placement of the "dots" and "commas" - perhaps if we were to research "signatures" of past "notables" we would find one of these - and it would reveal previous "personalities" James has had ... just a guess - based on nothing more that intuition ... but I see four (inc James) sets of "signatures"
- note the placement of the "dots" and "commas"
Those symbols remind me of math symbols . Perhaps, some are scientific or mathematical formulas. Math is a universal language isn't it? Some look like the glphs from some of the paintings and some look like Senzar. Check out this thread it's quite interesting. and this website by a former member of this forum , Joel, who did a lot of research more to do with medicine since he's a psychologist and all. This is the buzzing I make reference to as to agreeing with SD as to hearing and feeling the energy the rotating in movement alive they are glyphs ......communicating to us from us .....backward and forward in time they are able to go. not a clear version,but lucky enough. 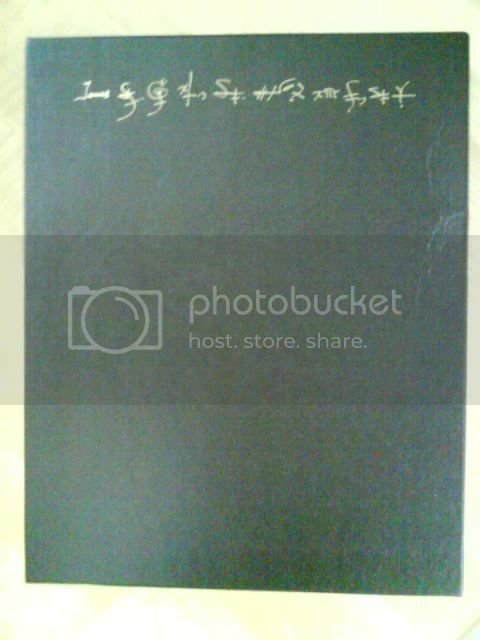 Hello, I got my collection a few weeks ago, here is the glyphs and they are on the corner of the box.